This week's Humble Weekly Sale isn't filled with Android games, but it contains two goodies that are arguably worth the price of admission alone - NightSky and MANOS: The Hands of Fate. The former is available in the Play Store for $4.99, and the latter, $2.49. 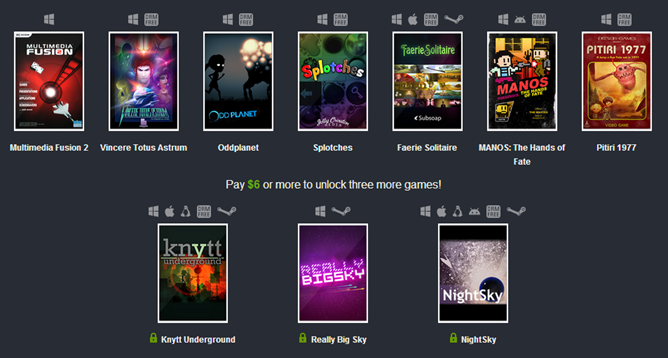 But if you pay over six bucks for this week's bundle, you can get both games along with seven additional titles for your PC and the Multimedia Fusion 2 game development software. Both of this week's Android games are side scrollers, though they take drastically different forms. 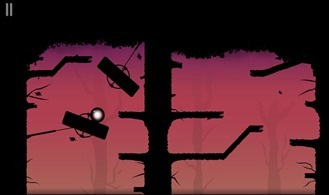 NightSky chronicles the precarious yet soothing journey of a black ball through daunting physics-based puzzles. 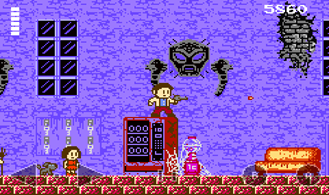 MANOS is more of a pixelated homage to a bygone era of both cinema and gaming, with visuals pixelated enough to make you long for the technological advancements introduced by the Super Nintendo. Head over to the Humble Weekly site to take advantage of this offer while it's still available, or if you're only interested in one title or the other, feel free to snag either by hitting up the widgets below.